Why are two heads better than one? Why are dual nodes better than one? Interestingly, both questions have similar answers as you might expect. Here’s why two of these are better than one. For two humans, two heads can think independently or collaborate when the time is right. One can work a specific tasks while the other is working on another. While they can act independently they can also act in harmony when the time is right. When it comes to computer, the dual node architecture in SteelFusion Edge is an advanced design that can do more than think independently and collaborate when the time is right. It’s like having two motherboards that are forged together. This allows for twice as much compute and RAM to be consolidated into a single appliance with a form factor of 1U or 2U. The scalability factor improves in a number of ways. What are the physical advantages? Why is this better than other architectures? Dedicated resources are naturally better than shared resources. 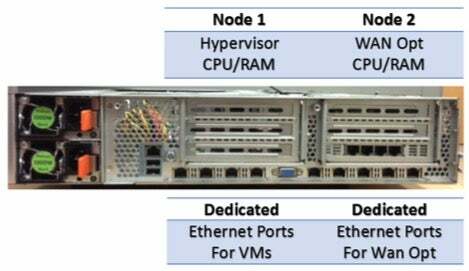 By using dual nodes, the performance and options become far superior over a single node design. Shrinking physical compute and getting faster performance has been a trend since the beginning of the first silicon chip. 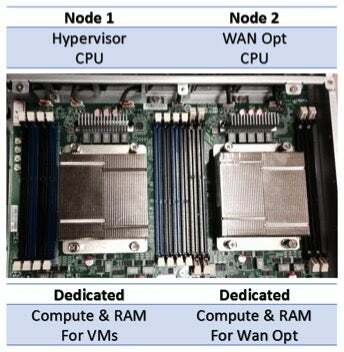 Dual node architecture is the next generation technology that brings us a lot of advantages with faster performance being the primary benefit. Consolidation of multiple services into a single appliance is even more powerful when those services have dedicated nodes and controlled resources. SteelFusion’s architecture is advanced and scalable with high performance and it’s all done within a small form factor. This design is great for the Hyper-converged Edge. While other solutions are built for data center scale, SteelFusion is built for scale at the remote office/branch office (ROBO). It provides consolidation of data back to the data center, hardware consolidation, removing tape backup or other expensive data protection technologies from the edge, a smarter support and operations model by centralizing admin control and having fewer physical devices at the edge locations. Another unique value is the built in SteelHead WAN Optimization. So when we say Hyper-converged we mean much more than the average solution in the market. Through custom software development and custom hardware, Riverbed engineers have built a solution that can operate in the most demanding environments in the world, such as satellite or long haul networks where projecting services is the most challenging. That’s where Riverbed started and this is the next generation of that evolution. To learn more about SteelFusion click here.